Fusco Browne is a private immigration firm providing specialist immigration advice & representation and is not affiliated with the UK Government. 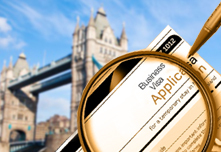 Information on UK visas is available from the relevant government authorities. You can also make your application direct to the relevant government authority without paying any additional fees. 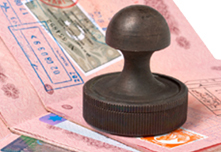 At Fusco Browne we are a leading team of UK visas and immigration experts. We provide immigration solutions to all. Using immigration law in ways that benefit our clients to enable them to live, study or work in the UK without stress. As a specialist firm we have a dedicated team of highly skilled and trained asylum lawyers and caseworkers who have assisted hundreds of clients in securing asylum in the UK. We offer services that will solve any confusion you may have as an employer, we will answer any question that you have as an employer, assist with any applications you require to be made. Fusco Browne offers a Premium Same Day Service which allows the UK Border Agency to decide your immigration applications on the same day. 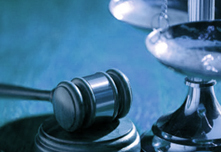 Fusco Browne is a legal firm with extensive experience in the fields of UK immigration and asylum law. As well as being registered with the OISC, all our solicitors have Level 3 Accreditation in both of these legal areas. In fact, most of our staff previously worked at the Immigration Advisory Service, ensuring they know precisely how to get a UK visa for almost any purpose. With our specialist team, you will have a better chance to apply and pass both in-country and entry clearance. No matter what visa issues you have, we will be happy to look at them for you. To make this process even easier, we offer affordable Telephone Advice packages. To gain detailed advice on UK visas, talk with our consultants about utilising our services. If you would like to arrange an appointment, call 0845 862 8771 or phone one of our local branches. 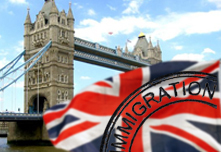 Our company offers immigration legal advice to those wishing to move to London or elsewhere in the UK. Our team is available seven days a week, 9 am to 10 pm. Additionally, all our services come with a fixed fee structure without any unexpected hidden charges. I have known Margaret Fusco for over a year now, during which time she has helped me with my applications for Post Study Work and ILR visas. Her depth of legal knowledge and advice evokes confidence and gives me peace of mind. I have also been touched by the interest she has taken in me as a customer, an attribute that’s hard to find in today’s hustle and bustle. I would highly recommend Margaret to anyone seeking legal advice on UK immigration law. I am writing to express my sincere gratitude and appreciation for the outstanding service and invaluable advice Margaret provided during my visa application process. She kept in touch with me in every step of the way providing an extremely professional and friendly service. I would highly recommend her! Reliable, honest, and straight to the point. A great service from a great person, Thank you. An appointment will be arranged for you in your local area. To reach our local offices directly please visit the contact us page. Copyright © 2019 Fusco Brown. All Rights Reserved.